Tonight’s dinner had a focus on meat, the salads were chick pea and fresh vege along with a potato salad, and fresh corn on the cob. The Calabrese chorizo are made by Zamora in Queenstown. This is a chorizo with flavours of fennel and coriander. This sausage is medium to coarsely ground and it has a minimal level of heat, the fennel is a dominant flavour with a secondary flavour of coriander. My wife thought they were superb and I enjoyed them too. These are an excellent snarler. 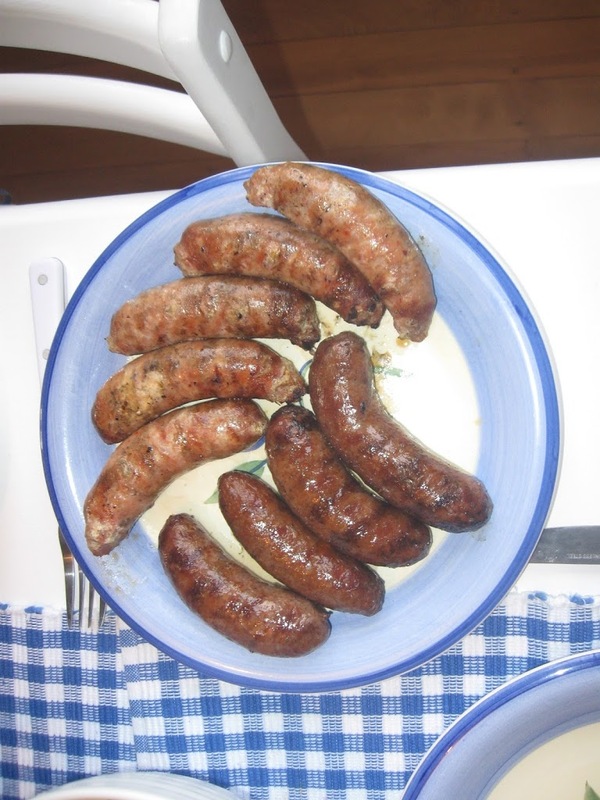 The sweet chilli and plum sausages came from Top Cut butchery in Raglan. After going for a run, I will often wander into the shops to see what varieties of snarlers are in the meat cabinet today. These are a fine ground meat sausage with the flavours of sweet chilli and plum meld together to create a moderately flavoured sausage. Sausage Boy and the other members of the whanau considered this sausage to be the best so far that we have sampled from Top Cut. 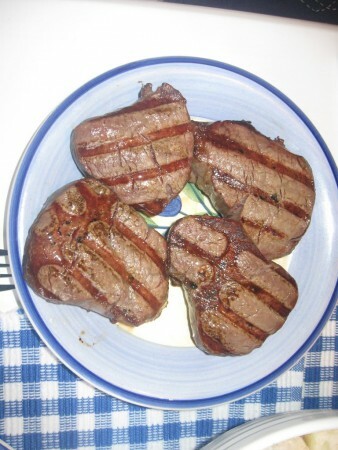 I also purchased some beef eye fillet which is not a cut of meat we normally consume. 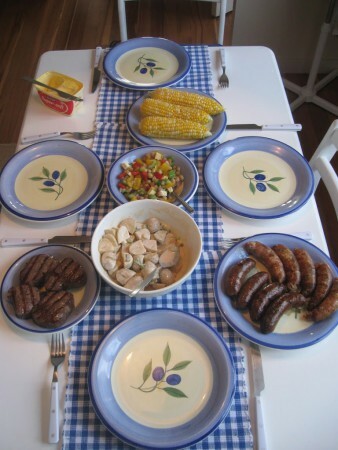 They were cooked on the barbecue and were a delight to eat, tender, soft and juicy – they melted in the mouth. My wife and I had a discussion about the level of meat in the dinner – she thinks we eat too much meat. This does pose an issue for the sausage blogger, will the blog become a sausage and vegetarian dish blog? I’m not convinced. Or maybe preparing three meat options for dinner was over the top? I just like making great food at the beach.